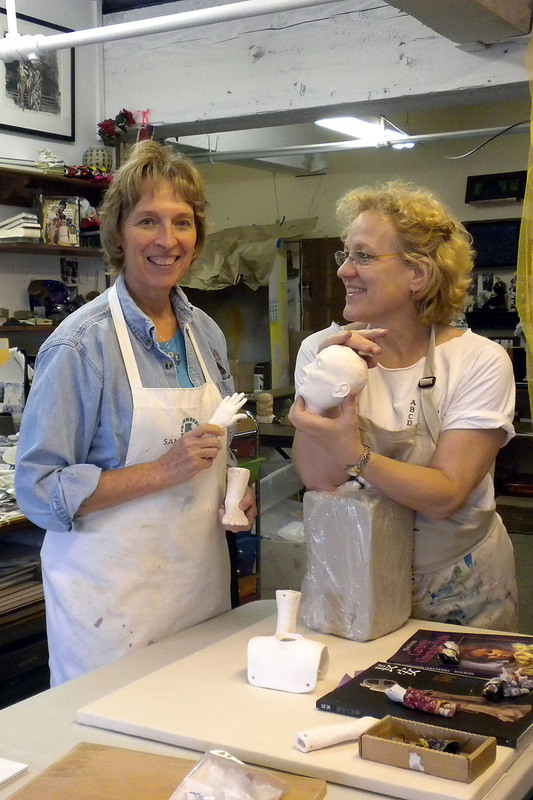 Jane Kelsey-Mapel and Becky Frehse are collaborating long-distance; Phoenix, Arizona to Tacoma, Washington and about 36 years of friendship since our days as art students at Arizona State University. Counterpoint is our working title for the work we do both together and separately with the intention of showing this work at Gallery 110 in Seattle, Washington during the month of March, 2012. Both artists are taking huge risks with this show by stepping way out of their usual studio practice in order to co-create pieces together. Jane is primarily a ceramic sculptor working in figurative and narrative realms, while Becky is a painter and mixed media artist whose work emphasizes color and textural structures on two-dimensional objects and surfaces. Yay! So delighted to find you here. I will keep an eye on you! !